The market, the type of iguana that much traded there are two kinds, namely green iguana iguana colombia and elsavador. 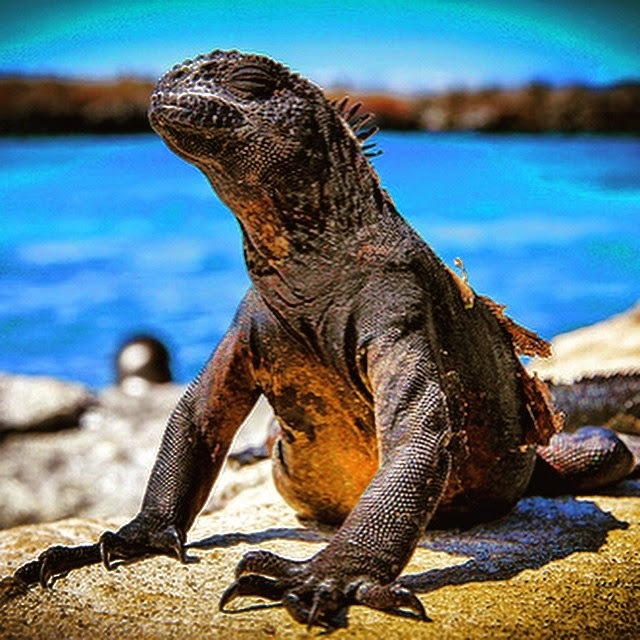 In addition to these types, there are marine iguanas. However, this type of iguana is protected animals (appendix 1 cites) that can not be kept as pets, except with the permission of a particular party. Although iguanas really like shut up and relax, but this is rarely the obese animals for food servings fit. However, that does not mean iguana will not obese and does not need exercise. Iguana need exercise for the muscles strong, especially for the females who will spend their eggs. Swimming is great for iguana. In fact they are a reliable swimmers and love the water. Iguana also can be trained to walk with you. Sport is beneficial also for the iguana to get good sunlight for the body. Use special rope iguana that fits with the body (not too small or too big) when took her walking. Nails are a fast-growing part of the body. Nail on iguana serves to protect the meat underneath. Nail also serves gripping the ground or timber when iguana is running. However, the nails are too long will also interfere with the iguana while it is running. Therefore, cut nails regularly iguana, approximately 2 weeks. Use special scissors to cut the nails iguana for the results neatly cut. Iguanas are animals that reproduce by laying eggs. To be hatched, the eggs must be fertilized by the male. This occurs through the process of mating. In order for the mating process occurs effectively, insert the male parent and a female parent in one cage. Dietary factors also strongly supports the formation of fertile eggs. Currently before mating, provide quality food in sufficient quantities, both for iguana iguana males and females.